Sleep is important for your health. In today’s fast-paced world, managing your sleeping routine has become a very difficult task. Low quality and quantity of sleep deprive us of a healthier living and reduce our productivity in personal and professional spheres of our life. You might have heard elders often saying to get a good night sleep, rather than taking numerous naps during the day. The reason given is, at night you do not have any pending works laying at the back of your head. You know that you have enough time to sleep. However, during the day, there is a lot of disturbance around you and there are high chances of interruption. If you are facing such problems and want to fix your sleep schedule, then you are in the right place. We have got you covered for fixing your sleeping routine. 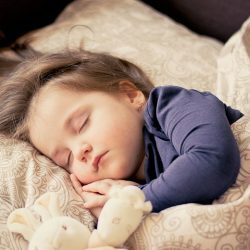 Not only adults need 7-8 hours of daily sleep, but they also need a fixed schedule to get this sleep. This is very important to keep your body physically and mentally fit. In this article, we will highlight some of the tips that you can use to develop a sleeping schedule. These tips are natural and have no side effects in any case. You can also use sleeping supplements to fix your sleeping routine but they can cause your body to undergo some problems. Regularity – your body adjusts to the habits you give it. If your sleeping schedule is disturbed and you are looking to fix it, then you need to make sure that you go to bed at the same time. There should be no big difference in the time you go to bed daily. Avoid changing your sleeping time even if you have an off day coming up. Most of the people sleep late on weekends and this disturbs the sleeping timetable for the entire week. It is also very important to continue the same bedtime habits before going to sleep. Reading your favorite book, listening to soothing music and taking a warm water bath can help you prepare your body to go to sleep. Please note that the time at which you get up daily also very important in fixing your sleeping routine. Same getting up time is very critical in developing a fixed routine. Avoid 3 Am thoughts – there is a specific time for your mind to go to sleep. Often we skip that time by getting involved in other activities. Once that time is over, our mind starts to overthink and it avoids sleep. The production of chemicals that induce sleep stops and then you have to stay up for a longer period of time. This scenario is commonly known as 3-am thoughts. Exercise – one of the main reasons for having a disturbed sleeping is that our body is not drained out. Adding exercise of thirty minutes can help you tire your body and induce peaceful sleep. You can use the exercise trick to fix your sleeping schedule as well. You can go for a walk or running after you take your dinner. This will not only increase your body’s metabolism but also start the production of sleep-inducing chemicals in your brain. It will help you go to sleep directly without rolling in your bed. However, make sure that you do exercise at least a couple of hours before going to bed. Check our Yoga tips to start exercising. Daytime naps – some people love to take long daytime naps. This can really disturb the way you sleep during the night. Power naps limited to 30-45 minutes are good for your mind but longer daytime naps significantly reduce your nighttime sleep. What happens is that you fulfill your sleeping needs during the day and then you have to stay up during the night. The next day you will feel exhausted and tired and will want to sleep during the day. If you are going through this disturbed routine, you need to give up your daytime naps immediately. Comfortable Sleep – If your bed where you sleep is uncomfortable then it’ll not help you to complete your desired sleep time. For heavier people it’s hard to sleep on weak beds with poor bed frames behind, they need more stronger bed frames than average weight people. So make sure the beds and their connected stuffs are comfortable and durable. Eating habits – yes, eating habits can disrupt your sleeping patterns. Meals that take longer time for digestion can cause you to stay up. Doctors recommend that you should consume your dinner at least three hours before sleeping. Alcoholic drinks, caffeine, and nicotine also alert your mind for longer periods of time causing it to stay up. It is also possible that alcohol might make you sleep early but that is harmful to your mental and physical health. Reduce your screen time in bed – research has shown that those people who engage with social apps or watch a movie before sleeping usually have disturbed sleeping patterns. Make sure that you gradually reduce screen time before going to bed. More screen time before going to bed can cause your eye muscles to stretch and pain as well. Room environment – the room environment is a very critical factor in fixing your sleeping schedule. Room temperature, amount of light, your bed and pillow comfort are all important when it comes to developing a stable sleeping schedule. When you adjust these factors daily before going to sleep, your mind starts to prepare your body for sleep. Be patient and gradual – make sure that all the changes you make to your sleeping should be gradual. Results might take some time to show. Be patient with them. If you are looking to increase your sleeping time, make gradual increments. It is better to make changes in the sleeping time and not the waking time. Sleeping is essential for your body to perform properly. We are sure that you will be able to fix your sleeping schedule after reading our tips. Please note that the results might be different for every human being depending on the internal system. if you fail to achieve a constant sleeping routine, you need to get professional help.